Preposition of place are the words that tell us about the location of something or someone. A PREPOSITION, as their name suggests, is mostly placed before (pre) the word with which it is associated. 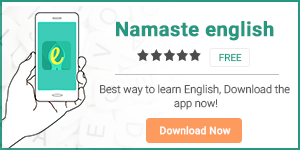 Don’t forget to download our improved and updated English learning app Namaste English.